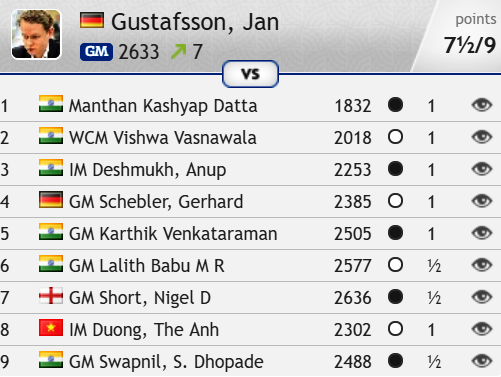 Chess24’s own Jan Gustafsson has won the 19th edition of the Bangkok Chess Club Open, a tournament he first won back in 2011. Indian GM Deep Sengupta took down top seed Nigel Short in the penultimate round and matched Jan’s unbeaten 7.5/9, but missed out on the trophy on tiebreaks. 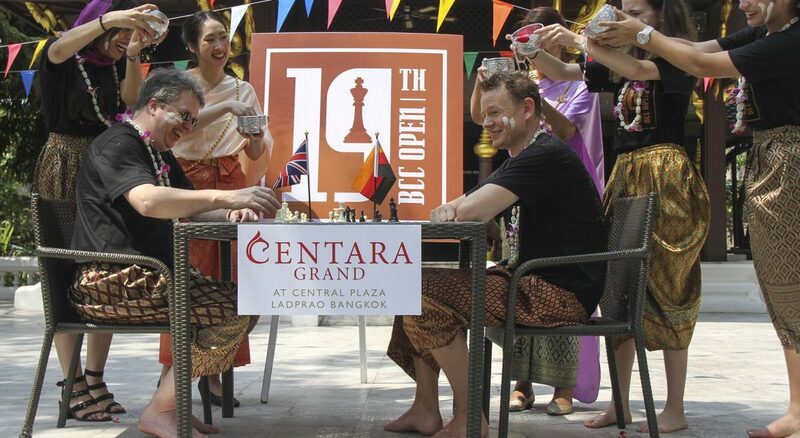 With Jan’s Thai break now over he’ll be heading back to commentate live on Carlsen, Caruana and co. in the GRENKE Chess Classic, that starts in Karlsruhe, Germany on Saturday. We now have Jan's own commentary on how the tournament went for him - don't miss it! 29.Rxe6! wasn’t followed by the spectacular 29…Kxe6 30.Qxd5! Kxd5 31.Bc4#, but Black didn’t survive long after 29…Nb8. 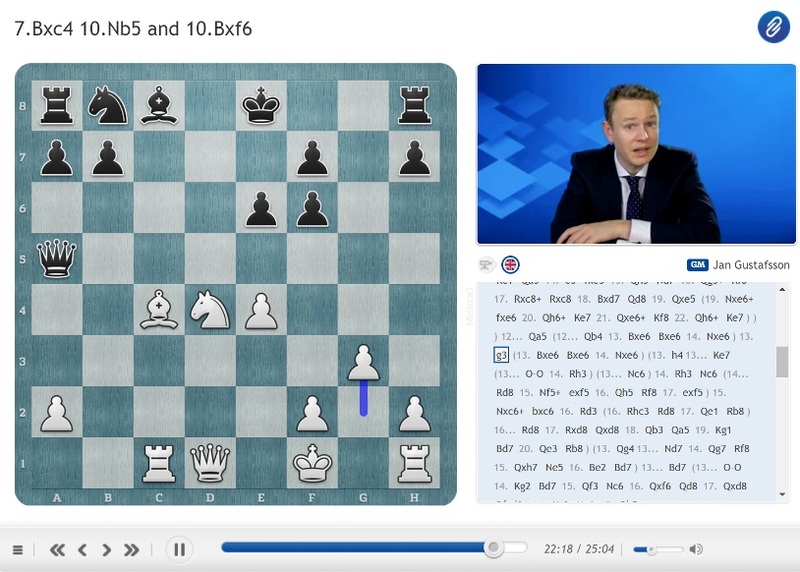 This is that second opportunity when, with two minutes on his clock, Nigel could have played 39…Qxd2! and after 40.Qxc7 Kg6! 41.Re1 the most brutal winning move is 41…Nxf3! Instead after 39…Rf7? 40.Ne4! White soon had a winning position, but failed to convert. Meanwhile Jan managed to win his first five games to take the sole lead, but it wasn’t all plain sailing. As he later commented in the chess24 chat, “got a bit lucky in rounds 3 and 5, but felt I started playing better after that”. In Round 3 Jan was close to busted with Black against Indian IM Anup Desmukh but, with five moves to make in under a minute before the time control, White went astray and finally blundered everything with 40.Ne2? 40…Bd8! surprisingly trapped the rook and won the game on the spot! If 41.Ra7 there’s 41…Nc6. It should be pointed out that after 23.Qxf2+! 24.Kxf2 Be6+ White isn’t saved by 25.Qf3 due to 25…Rxc2+! and the knight on b3 also falls. …but their game was anything but a damp squib. Here Jan recommended 13…0-0 in his series, but for this game he thought 15 minutes and decided to try something else, later commenting in chat, “I knew 0-0 instead of Ke7 was fine, but felt like pushing my luck OTB” (OTB = over the board). Now White would be losing, if not for 23.Rxe5+! fxe5 24.Qxe5+ Kf8 25.Qh8+ and a draw by perpetual check. 45.Nc4+! bxc4 46.Rxa5 was essentially game-over. Jan sensed he was close to victory over the board, and although not going for the computer’s preferred option (he picked 11.0-0 instead of 11.Nb3) there was only one move you could seriously question - if 13.Nxe6!? had been met by 13…Nxe6! Black would “only” have been much worse. Jan would go on to win a fine miniature by capturing a pawn on d5 with 17.Nxd5!! After 17…Qxb5 18.Nf6+! Nxf6 19.Qxf6 Black was temporarily a piece up, but there’s no way to avoid the heavy loss of material. The game continued 19…Rh7 20.Qxe6+ Ne7 21.Bxe7 Rxe7 22.Qxc8+ and Jan went on to win in 25 moves. 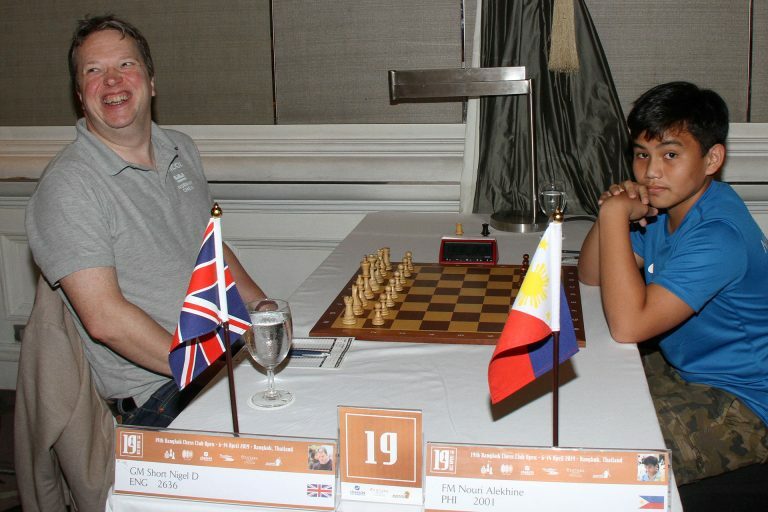 Jan therefore went into the final round with a half-point lead, and had no problem with an 11-move draw with the black pieces against Indian GM Dhopade Swapnil. That might have been enough for clear first place, but Sengupta was soon better with Black against Philippines IM Haridas Pascua and went on to win in 54 moves. The fate of the trophy therefore depended on Buchholz tiebreaks, which worked out in Jan’s favour. So congratulations are due to Jan on winning his favourite tournament for a 2nd time! It’s back to reality soon, since from Saturday onwards Jan will be commentating on the GRENKE Chess Classic live from Karlsruhe and then Baden-Baden with Peter Leko.